After researching King Koil mattress reviews it appears to be one of the more diverse brands on the market. They offer a variety of models ranging from very economical, basic products that almost anyone can afford to more luxurious products which are sometimes used by hotels. 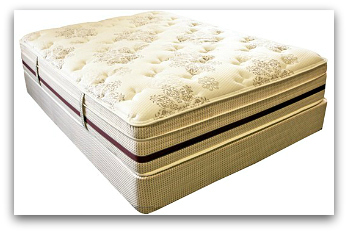 Most models are innerspring based and come with the following options for the sleeping surface: firm, plush, pillow top, euro box top. 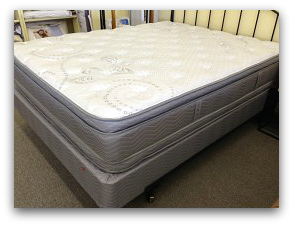 For a very thorough look at the product line see King Koil Mattress. 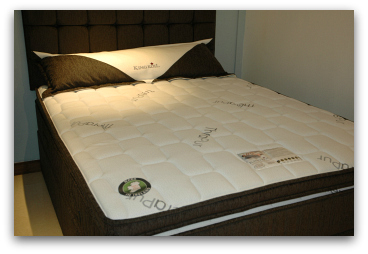 Regardless of the model, a King Koil pillow top mattress seems to deliver the most comfort and satisfaction at first. In King Koil mattress reviews, many consumers report feeling quite blown away by the comfort of the mattress top when they first lie down. In fact, many state that it's difficult to get out of the bed in the morning, but once they do they feel energized and well rested. Consumers also tend to appreciate the extra support around the edges and the fact that they can move around without disturbing someone else sleeping on the other side of the bed. Less motion transfer is a great convenience for couples or families who often sleep with children. The problem is that many of these consumers later come back to update their King Koil mattress reviews, stating that they started to break down and form extremely uncomfortable body impressions and even giant sinkholes within a very short period of time. Body impressions are a common problem with pillowtops in general, not exclusive to this brand. However, if a giant crater forms in the mattress after only a few weeks then it's almost certainly a major manufacturing defect. This is something that you'd think would be covered under the warranty. Unfortunately this doesn't seem to be the case and is the cause of quite a few King Koil complaints. Even in models without the pillowtop, a similar problem is being noted. Though some reviewers don't find the firm mattresses to be quite firm enough, most consumers report feeling very comfortable and at ease on their new mattress at first. Yet, within a short time they tend to sag toward the middle. 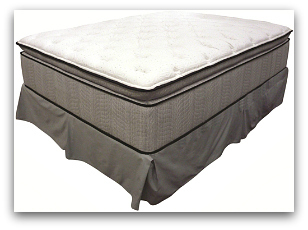 Again, depending on the severity of the sag, this is not a problem with King Koil alone, as it is seen with many innerspring mattresses on the market today. If the sag is extremely severe however, the company should just replace the mattress - no questions asked - in my opinion. What does seem to be rather unique to this brand is the extremely poor customer service. One of the major complaints in King Koil mattress reviews is the difficulties many consumers have trying to get the company to live up to their warranty. It's understandable for a company to have a bad production run once in a while. It happens in other industries such as car manufacturing all the time. But if Toyota discovers a problem with a certain number of vehicles they inform their dealers and either fix it for free or recall the product completely. King Koil appears to do just the opposite. They make it extremely difficult just getting the mattress replaced, to say nothing about getting your money back. With other brands you can usually go back to the retailer and get them to replace the mattress within a certain time frame. Their return policies are often much better than the manufacturer's warranty (which is sad statement of the integrity of the industry overall). But customers have reported not having any better luck with retailers than they did with the company itself. This means if you purchase a mattress and it starts to cave in as it has for some people, you may have a fight on your hands trying to get any justice from that warranty. In other words they're not worth the paper they're printed on. The warranties are giving a false sense of security to buyers who feel they're protected. It's a marketing ploy used by many of the top brands. They're full of questionable conditions hidden in the fine print which are very difficult to meet and give the company easy excuses for denying claims. The models which appear to have the most problems are the King Koil Posture Bond Perfect Contour and the Natural Response line which is supposed to be their top of the line and is probably the most expensive. The particular models that the reviewers were referring to appear to have been discontinued so they're current offerings may be better made. Or not. With all that said, I don't want to condemn the entire brand because of the negative King Koil mattress reviews - I've seen positive comments as well. People who have bad experiences are more likely to post reviews. So the overall picture from doing research at consumer review sites can possibly be skewed towards the negative. 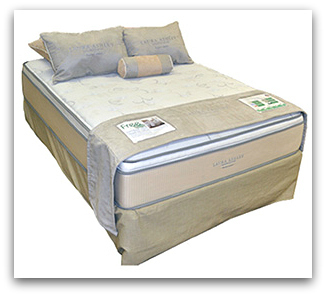 One model that is highly recommended is the King Koil latex mattress - Natural Elegance. It's made with a Talalay latex core, which is much more durable than other types of foam and is one of the best materials available for bedding. It's known to hold up for much longer without sacrificing any of the comfort. In fact it's actually more comfortable because it eliminates pressure points caused by springs and doesn't sleep hot like memory foam. The price tag also seems to be reasonable when compared with other rubber latex mattresses on the market. Unfortunately it looks as though this model has recently been discontinued. However, the general principle should apply to any decent latex mattress. The XL Extended Life product line may be worth giving some serious consideration as well. If you're willing to spend a bit more, these models appear to be much more solidly constructed and have some serious potential. Due to the amount of negative King Koil mattress reviews in general I simply can't recommend them. However, there is some value in the product line as their prices are fairly affordable. Most should hold up for at least 3-5 years before the above mentioned problems may start to set in. Unfortunately, this is significantly lower than the industry average. Too often I've read reports of them being cheaply made and having shoddy workmanship. Reviewers say they felt fantastic in the showroom and for the first few nights but quickly deteriorated and either became uncomfortable or had major manufacturing defects. This probably isn't applicable to everything they make, but why even risk it when there's so many other brands available with less problems? Particularly disturbing are the horror stories about people trying to get the company - or even the retailers - to honor the warranty. You see the same thing with other mattress companies, as they all make it quite difficult, but the King Koil complaints were even worse than usual. Don't waste your time and money - just go with a well known brand like Tempurpedic instead. I personally have slept on one for years and it's the most comfortable mattress I've ever owned. 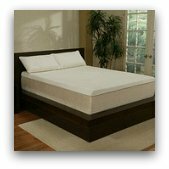 Something like the mid-priced Tempurpedic Contour series or other models would be perfect for most people. I've heard they have fewer customer complaints than any other brand which is probably why they've been on top for so long. 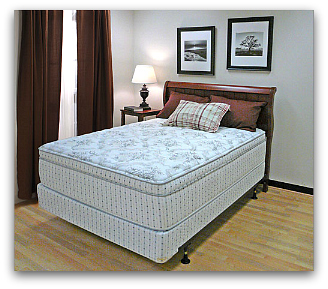 Have You Owned A King Koil Mattress? Would you recommend one to others? 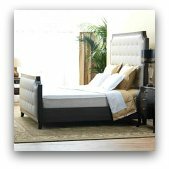 Share your King Koil mattress reviews here!